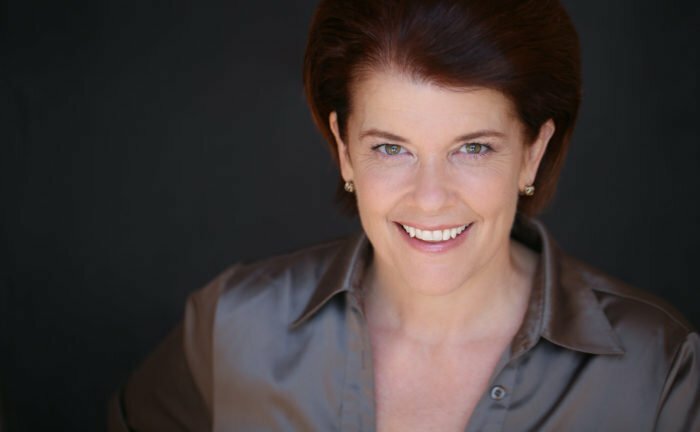 International, award-winning Singer, Actress, Teacher and Coach Alison England will teach a vocal performance and audition workshop focusing on acting for the singer on Monday, August 20 at 4:30 PM on the Renaissance Theatre stage. The workshop will include body work, relaxation and yoga techniques to enhance vocal performance, hands-on coaching for select students to improve technique, characterization and audition skills, and a question and answer session about the business of professional acting. The cost of the class is $20. Alison England’s career is vast and varied. Her Theatre credits include Mrs. Harcourt in Anything Goes, Mrs. Bennet in Austen’s Pride – A New Musical of Pride and Prejudice, Mrs. Lovett in Sweeney Todd, Dora Bailey in Singin in the Rain, Mme Thenardier in Les Mis, Hannigan in Annie, Momma Rose in Gypsy, Kate in Kiss Me Kate, and Dolly in Hello Dolly. In Film, she played Lily in Smothered by Mothers, Paulette in In Vino, M s. Scolari in Attack of the Killer Doughnuts, Mrs. Lynch in Acre Beyond the Rye, Maude in Severus Snape and the Marauders, and Sister Ann Marie in Bad Uncle. Ms. England’s educational background is in Opera and she holds a Bachelor of Fine Arts degree in Music from California Institute of the Arts, a Master Degree in Music from UCLA, and a degree in Advanced Studies from the Julliard Opera Center at the Julliard School. She has been the Professor of Vocal Technique for the Musical Theatre Training Program at the Academic Florent at the Conservatorie de Paris in France, the artist in Residence as Professor of Vocal Technique for Opera and Musical Theatre at the Harmonique Studio in Paris, France, the Head of Vocal Training at the Brochus Academy for the Performing Arts, the Artistic Director and Professor of Vocal Technique at the Southern Colorado Repertory Theatre, and currently holds a Vocal Pedagogy Studio at England Vocal Arts International. Interested individuals should visit MansfieldTickets.com or call 419.522.2726 for full details and to purchase a seat at this prestigious workshop.